THE SUNDAY TIMES BESTSELLER 'I was crying so much I couldn't breathe. The thought of leaving the shopping centre without him was crushing. I knew that walking away from the place where he had gone missing, without any idea where he now was, meant that things were really bad. James had been right by my side and then he was gone forever.' On 12th February 1993, Denise Fergus' life changed forever. As she was running errands at New Strand Shopping Centre, she let go of her two-year-old son's hand for a few seconds to take out her purse. Denise never saw her son again. For the first time since that moment 25 years ago, Denise tells her extraordinary story in this heart-wrenching book, an unflinching account of that terrible day. What if she had never taken James shopping? What if she had turned right coming out of the butcher's, instead of left? Denise's initial hope after seeing her son on CCTV with other children quickly turned to devastation when, two days later, James' body was found. His death reverberated around the world and his killers became the youngest ever convicted murderers in UK legal history. Four minutes is all it took for them to lead James away from his mother to his death. Denise took up a tortuous legal battle for James, and it was her astonishing strength and love for her son that ultimately helped to change the way the law treats victims of crime. This is a mother's tale, of finding a way through the despair to remember the happiness and wonderful memories that James brought his family. 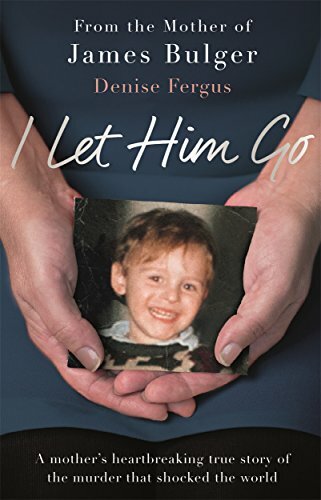 Above all, Denise doesn't want her son to be remembered as a murdered child, and with this beautifully written book, she does just that.